Most of us fail to realize that our dogs reach senior status just like humans do and that canines are bound by similar ailments that their aging human counterparts suffer as well. Arthritis, fatty liver, high cholesterol and heart disease, for example, are a few diseases dogs can get due to old age. This is perhaps the hardest fact to accept as doggie parents. When your beloved reaches senior status, his or her selfless and unconditional love for you continues. Dogs will want to please their masters even until their last day. This is why as you see your furry best friend slow down, change their eating habits, and sleep more than usual, you must make sure your canine senior receives wonderful care. There are many things you can do as a dog owner in order to make sure you keep your senior baby comfortable, active, and happy during the golden years. Larger breeds have shorter lifespans than smaller breeds. This is why it is imperative to take your canine to the vet for a yearly examination. This is the first step to staying proactive in your senior canine’s life and making sure they doing well in the elderly stage. Vets run annual blood tests to make sure your pooch is free from high cholesterol, and that their pancreas, liver, and stomach are functioning normally with no diseases developing. Your dog’s vet will also recommend preventative supplements, medication or additional routine examinations to maintain your furry one’s health. One day you’ll wake up to find out your dog no longer likes to sleep in the bed with you or in their favorite bed he or she has used for years. Rather, your dog will find a cool or warm area of your home and claim it as their own. Unfortunately, this behavior is common when dogs realize they are aging. When dogs get older, their brain slows down and your pup might develop cognitive impairment that at times may make them loopy, stare, and zone out. When this happens, your dog might get disoriented and not understand a command. The most heartbreaking behavior is the pacing back and forth or wandering aimlessly at night. These are signs of anxiety that overwhelm your dog when he or she realizes that their senses are not working like before. The sense of smell, sight, and recognition start to feel foreign to senior dogs as they develop cognitive dysfunction syndrome (CDS), otherwise known as canine dementia or doggie Alzheimers. Educate yourself on doggie Alzheimers and follow the advice your pooch’s vet gives you. Depending on the severity of the disease’s progression, you’ll be able to understand how to make your dog comfortable and less anxious. Supplements offer stronger and healthier bones, a healthy digestive system, and slow down the progression of aging in the brain. In order to minimize cognitive dysfunction syndrome, most vets will prescribe Senilife. 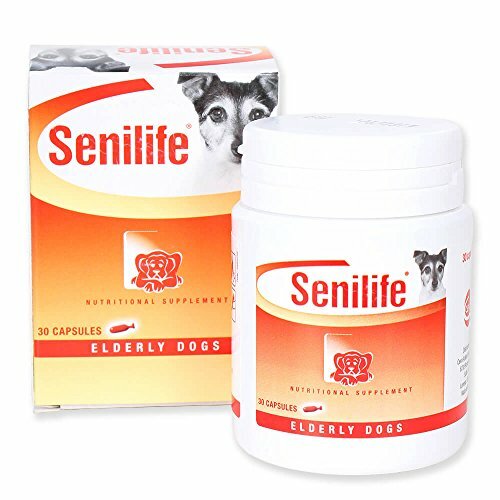 Senilife is the most popular canine supplement because it helps reduce the symptoms of old age and makes dogs keener. Keep in mind that only your dog’s veterinarian can make the assertion that your dog needs supplements. Although vitamins are sold in pet stores, don’t give your dog vitamins unless the vet prescribes it. Giving your dog vitamins without the recommendation of the vet may lead to making your furry one sick from an overdose. Make sure you brush your dog’s teeth at least three times a week. Teeth with severe plaque can lead to tooth decay and/or infections. Poor dental hygiene adds to the discomfort of your senior pooch which is why it is imperative to make sure his/her gums and teeth are healthy. There are chew toys that will also keep your little one active. You should consult with your veterinarian to find out which chew toy is effective and less abrasive for your dog’s breed. Sometimes senior dogs have a hard time eating the same food they’ve consumed for years. Their appetites diminish as they reach senior status. Some dogs develop gastrointestinal conditions that make them throw up and not properly process their food. As a result, dogs will throw up bile or undigested food. Pancreatitis is one ailment attributed to digestive issues. In those instances, your furry one’s vet will prescribe medication or a specialized diet to help your pooch digest their food. 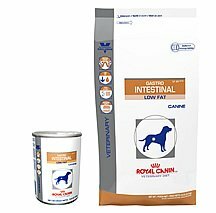 Royal Canin Gastrointestinal Low Fat food is a prescribed cuisine that is easy digest and calms pancreatitis. Don’t be upset if your little one decides to eat only once a day, or refuses to eat his or her food; practice patience. My little Harley sometimes eats twice a day, and other times she eats once a day. I have found out that it makes her happy when I leave her kibbles out at night if she does not eat during the day. This is because her sense of time and day tends to become reversed. Some seniors canines cannot eat sugary treats. This is because most store-bought treats contain a high grade of sugar that will make your pooch gain weight. Once your dog becomes overweight, he or she has a greater chance of developing a fatty liver or high cholesterol which can lead to other ailments and complications. Therefore, throw away the store-bought cookies and give your pooch natural treats such as a piece of fruit or vegetable. I mix little pieces of peeled, red apples to Harley’s food which she loves. Sometimes she has the apples alone for dessert. And like her food, I serve the apples in moderation. Probiotics are also prescribed by veterinarians to promote healthy intestinal balance. 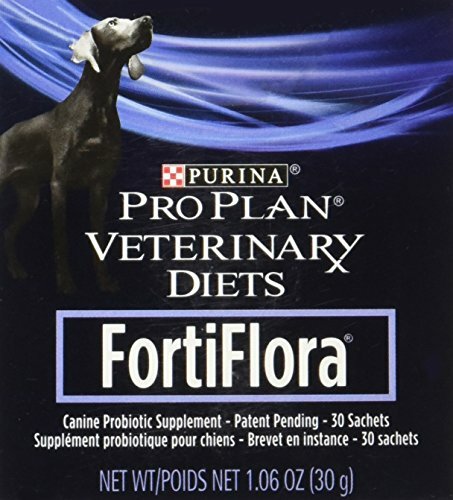 FortiFlora is one of the most popular probiotics recommended by vets because it contains high levels of vitamins A, E, and C. And dogs love its taste. Harley loves to eat her kibbles with the Fortiflora and her bowls are back to normal. Poor vision is another curve ball thrown at our senior pups. However, this doesn’t disturb them if you show them they are still good at what they do. My little Harley still loves to play catch. She loves to hop and go after her favorite toy, Ducky. Sometimes though, her toy flies over her head and she runs the opposite way. I cheer her on and tell her where her toy is which makes her run even faster, fetches it and brings it back to me. And although she has little arthritis, she will still run and hop at her own pace. Just like humans, your dog’s brain must be challenged in order to stay strong and healthy. Learning new tricks can be a fun way for your dog to feel like he or she is still agile. Senior dogs may have a harder time learning new things depending on their aging process. Like humans, dog’s will get frustrated when they have trouble learning or picking up a new trick. Therefore, always reward your senior dog with a treat and praise. Whether they learn the trick or not is not important. What matters is the fact that your little one is being active and interacting with you. Praise your senior pooch with cheers, hugs, and treats so they feel proud. Belly rubs or ear, back, and foot massages are heavenly for your senior pooch. This is something my Harley loves. I rub behind her ears, her neck and massage her legs and feet. If you pamper your pooch, they will fall asleep with a smile on their face. Gentle massages alleviate your dog’s joints from arthritic pain. It also lets your pooch know you love them. If your dog still loves to play tug-of-war, modify it to fit their needs. You will need to adjust to your dog’s strength and health so that the game is not hard for them. You may consider allowing him or her to win a few games if their grip is not firm. Follow the win with praises and hugs and you will see your little one smile and reward you with reciprocal sloppy kisses. A game of tag is always fun. If your pooch loves to play tag, then play it with them when they come and get you. This is a fun and exciting game for dogs who have been playing the game since they were puppies. Senior dogs may not be fast, but they will eventually catch up to you. Reward your dog with hugs and kisses when they tag you. The game may not last long, but when you are done, you’ll have a happy little one and a memory of that day. Pool therapy helps dogs just like humans with arthritis. If your dog has mobility issues, hold him under his belly while he moves his legs in the water. 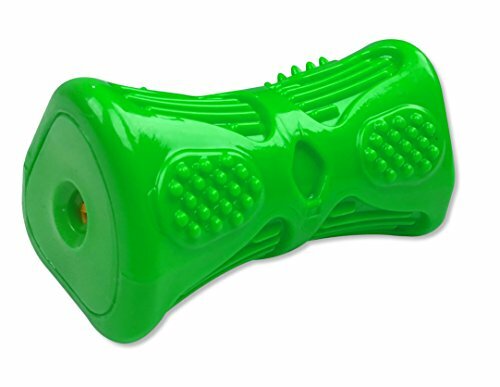 This gives your dog the exercise your pooch needs to help his joints. Some dogs are still able to move about, swim and don’t need assistance in the water. However, they still need to be monitored when they are in the water because senior dogs tire easily. As your senior furry one reaches the high tail of her golden years, make sure to show her affection daily. Show your pooch you love them and lay down next to your little love from time to time. If your dog is bedridden, lay down next to her and give her rubs. Let your little one know she is not alone and that you love your furry one dearly. Harley was recently diagnosed with the beginning of CDS and it was hard to accept. And although my dog’s behavior is not serious and intermittent, there are some senior dogs that fully develop this disease. Harley went through a period of anxiety, pacing back and forth and panting as she neared her 14th birthday last year. When my little one finally fell asleep, she would have nightmares and cry. I would wake her up and comfort her until she fell back asleep. During the afternoons, there were some days she would summon me to sleep next to her on the floor by her new favorite spot next to the window. I for one continue on the road of denial, not wanting to accept that my little 14-year old Harley might not be here next year. Amidst this truth, I continue to make her life as joyful and comfortable as possible by spending more play time with her, loving her and taking care of her as she has taken care of me for years. As a pet parent, it’s the best thing you can do to thank your canine companion for enriching your life.